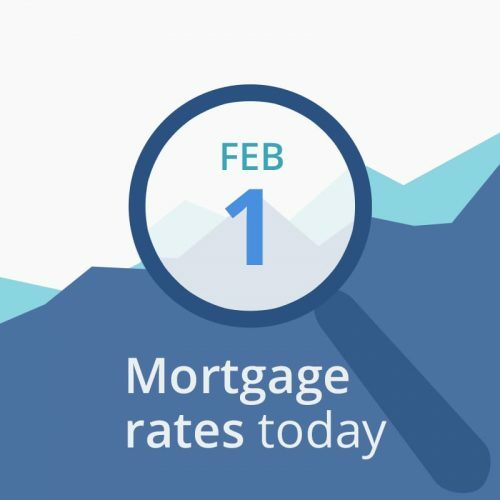 Average mortgage rates today are mostly lower, probably because the unemployment rate rose, and because the economic data below are neutral-to-good for interest rates. Today’s big news (actually the biggest news of the month for mortgage rates) is the Monthly Employment Situation Report. Fortunately, this one was not delayed or canceled because of the shutdown. The report completely defied analysts’ expectations, showing the addition of 304,000 new non-farm jobs, when experts had only predicted 177,000. This should have been bad news for mortgage rates. However, a large pat of the unexpected 125,000 additional job surge is simply a paperwork adjustment. The government dropped its December job creation estimation by 90,000 jobs, so it looks as though January performed more than it did. But this still represents a string of good months for those seeking work. However, the unemployment rate, which was not expected to change, increased to 4.0 percent. The Labor Department blamed the increase on the government shutdown. Today’s financial data point mostly to lower interest rates.